Did you see a cool flash animation on YouTube and wished if you could use it for your site as well? Does the very thought of making such professional animation can cost you a bomb, pulls you back from your thoughts? Just forget all your worries because now you can do it yourself and it is a matter of just some time. With the development of technology, almost anyone can learn how to create animation, if they follow the right instructions. So, in this article, let’s learn how to make an animation in just 7 easy steps on your computer. If you wish to understand the nuances of how to make an animation, the first step you should know is scripting. Playing with the words in your mind and weaving it on a paper makes a big difference. So, penning a story helps you to recognize the loopholes, the pace, and the character development in your story. The script gives a person an idea of where your story is based, how does it look or which time of the day are you talking about, who is talking to whom, and most importantly, the dialogues, what are your story characters saying to one another. The script is the essence of creating an animation and without it, you cannot resume the process of animation. What is storyboarding? It is a sequence of images or pre-visualization of movie shots to understand how exactly the story will unveil, the feel, the look, the camera angles, everything is described like a flowchart. Storyboarding can be of various types. It may be colorful, it may just an outline, or black and white or something with complete detail. A storyboard must give a complete and close image of what the movie would look like. The images must be captioned, the movement of the camera must be shown with arrows, and the object and characters must be differentiated from the background with colors. If you want to make your animation more vivid and interesting, remember to add voiceover. Would you like to see an animated movie without a voice? It is a vital part of any movie recording. When you ask how to make an animation, you also need to know how to record a voiceover. The animation is influenced by voice performance for focus and timing of a scene. The animated scene and the voiceover must be in sync perfectly in order to retain the attention of the viewers. In the earlier days, a recording studio used to be rented and a sound engineer and voiceover artist was hired for it. But, today the auditions for VO are done online and the best one with professional recording tools is hired. Once the preparation stages are over with script, storyboard, and voiceover in place, the animation part can be started. The length of the VO and the story are the deciding factors for the time required for animation. So, pick up a software to animate your characters. The process includes importing images, adding it to the timelines. 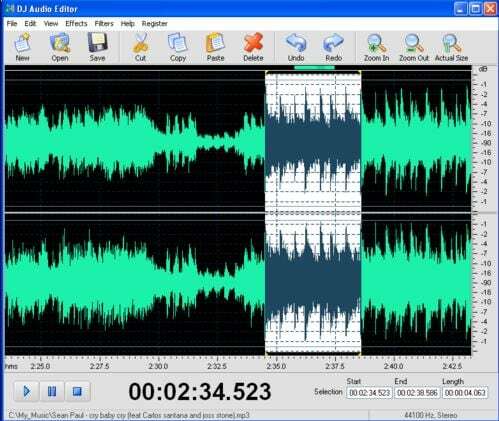 In this step, it is important to select and assemble the recorded sounds and start preparing the final mix of the sound in order to ensure proper lip sync and other sound effects needed for the final animation film. Any heavy unwanted sounds are removed and significant spot sounds are added while mixing the pre-determined soundtrack. Often the scenes for the animation film are randomly shot. There are a number of scenes that are shot just as a back up so that later while editing it can be checked and the best shot from many can be picked to include in the movie. All such things are finally checked in the final editing. It is the process of rearranging the clips so that the end product is flawless. Other editing task includes the addition of effects in the clips or text used in titling, etc. Exporting the animated movie is the last step in creating an animation. How to make an animation is no more a big reason for headache. If you want, you may also share it directly on the social media platforms with your friends and viewers. Now, as you know how to make an animation and the steps involved in it, you must also be aware of one of the best software for editing. Here we recommend using FilmoraPro. You can use it to make animation video by adding keyframes, so the animation will be smooth and natural. You just need to build a white plane to easily start making animation. Besides, color correction and audio mixer will raise up your animation video to a new level. Download it to have a try (Free)!